Thanks to new reports from NRDC and Harvard , indicating that 40% of food never makes it from the farm to a table, and that consumers are confused by ‘sell by’ and ‘best by’ dates, food waste is emerging as a big issue. 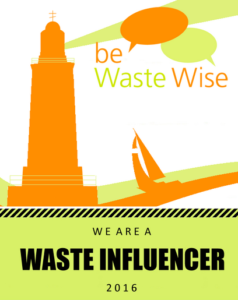 For the mindful consumers within the WeHatetoWaste online community, food waste is now on par with long-standing environmental concerns such as water and energy supplies. We care about food waste for all kinds of reasons, starting with moral issues such as global hunger, environmental reasons including carbon footprint (food waste decomposes in landfills into methane, a potent greenhouse gas), and even health concerns like obesity. Despite all the attention traditionally given to leftovers, food scraps, uneaten crusts of bread, the people we polled at WeHateToWaste.com seem to be especially concerned about food waste away from home, and they are willing to take steps to deal with it that have implications for restaurant branding and practices, particularly regarding portion control and choice of doggie bags. 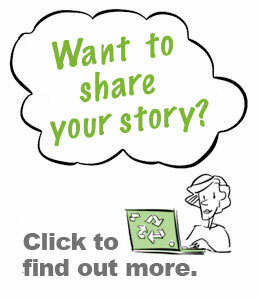 We’ve been busy polling the many mindful consumers who visit our WeHateToWaste.com community website. We’ve garnered many insights that suggest that consumers see over-sized portions as a strong contributing factor to food waste (not to mention obesity) and seek options in smaller portion sizes and the economic benefits that go with it. Compounding the issue are the inferiorly designed doggie (‘to-go’) bags that make taking home uneaten food impractical, less desirable, and even wasteful in and of itself because of bulky, often non-recyclable packaging. Restaurants that can proactively address diners needs to reduce food waste have particular opportunities to enhance revenues, profits, and image while better serving their customers’ needs. For starters, we suggested they try more flexible portion options (with accompanying pricing) that can broaden appeal to such demographics as seniors, dieters, and women (beyond children who seem to be adequately served now), and reconsider ‘all you can eat’ programs. Make it easy to share restaurant entrees more easily. Offer to pack uneaten food to-go. Another often overlooked opportunity to reduce restaurant food waste is to find superior doggie ‘to-go’ bag designs that can accommodate the dual challenges of serving on-the-go lifestyles (not everyone heads straight home after dining), and such environmental and health concerns as plastic migration and compostability; not surprisingly, Styrofoam heads our ardent waste-watchers ‘no-no’ list of materials. 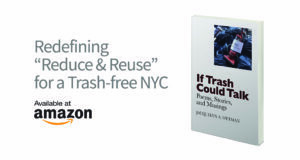 Underscoring the opportunity, our community members reported that an environmentally preferable doggie bag option ‘would make them feel better about their restaurant choice’, even swaying their choice of dining establishment in some instances. 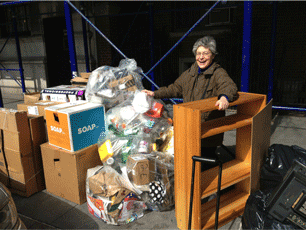 Some of our ardent waste watchers would prefer to bring their own containers — some already pack a Ziploc for this purpose, while others tote a variety of rigid as well as flexible containers made of metal or plastic. 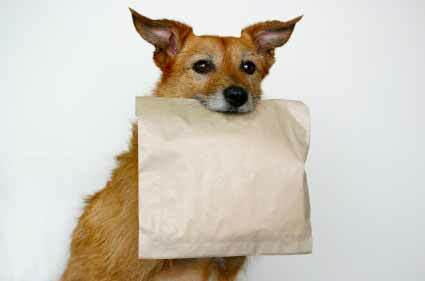 To make sure that uneaten restaurant food that is packed to go winds up being eaten not tossed, we believe restyled doggie bags should accommodate in-home use concerns like microwave-ability and freshness, even including directions for reheating or serving suggestions. Finally, concerns over behind the scenes food waste that are more difficult for diners to monitor suggests the need for more transparent restaurant practices, especially in municipalities with particularly high rates of food that winds up in landfills. 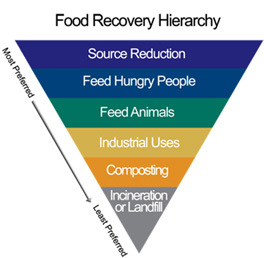 Our mindful consumers are surprisingly enlightened about optimum solutions for cutting down on restaurant food waste, exhibiting an intuitive understanding of the Food Waste Hierarchy (pictured, left), i.e., making sure that food is first eaten by humans followed by animals, and then composted, and then only sent to landfills as a last resort. Eating establishments that can divert uneaten food to local food banks and other causes that support the hungry and can communicate same to patrons have particular opportunities to enhance their brand. This article originally published in a modified form in TriplePundit.com, October 18, 2013. The restaurant industry certainly holds great potential to embrace sustainability and the green movement. I recall watching a TED talk where English chef Arthur Potts Dawson (seen here: http://www.ted.com/talks/arthur_potts_dawson_a_vision_for_sustainable_restaurants.html?utm_source=email&source=email&utm_medium=social&utm_campaign=ios-share) discussed the significant impact the restaurant industry has on the environment. He even went so far to refer as the restaurant industry as the “most wasteful industry in the world.” Dawson worked to develop a fully sustainable restaurant in London, complete with recycled chairs and floor materials, reused cushions, wind-powered energy, and a garden to compost the unbelievable amount of food waste. His restaurant reflected a highly transparent model that attempted to address all facets of sustainability, taking it much farther than just food waste. However, Chef Dawson seems to focus too heavily on composting – he did not look at the root of the problem. The suggestion of alterations in portion size would certainly help him properly follow the food recovery hierarchy and achieve an even more transparent practice. I think the Farm to Table movement in restaurants is one solution to this. 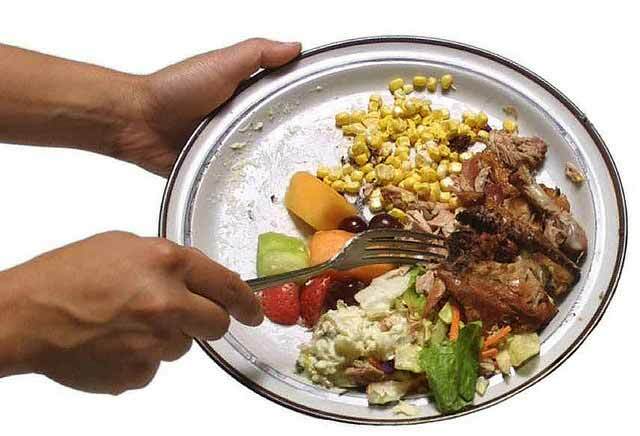 But system wide restaurants need to catch food waste throughout their supply chain and work with organizations or craft something of their own to help this wasted food end up in hands that need them or in compost to create more food. “40% of food never makes it from farm to table” what a disheartening statistic especially given the global hunger crisis, environmental implications of food waste and in general other food related health concerns. That statistic doesn’t even take into consideration the amount of food wasted once it does arrive at a table. In a restaurant setting, this issue is something that both consumers and restaurant managers need to tackle. It is not just the fault of the sometimes oversized portion restaurant meals, it could also happen in a buffet line when someone just thinks they’re a lot hungrier than they actually are and end up taking more than they should. I think what we all need is to be a little more self-aware in restaurants. I grew up, perhaps others did too, hearing the conflicting messages of “make sure to clear your plate” or “don’t force yourself eat more than you can, it’s OK to leave some stuff on the plate” and that’s all fine because I think the over-arching message of these two sentiments is to be more mindful when we are having a meal. Sharing entrees and taking a doggie bag (or better bringing your own container for leftovers) are a few simple ways that the everyday restaurant goer and help combat food waste in restaurants. The next step is for restaurants to take advantage of the opportunity this 40% statistic represents. They can embrace sustainability, actively reduce food waste, and in doing so maximize their profits.